A.P.C. 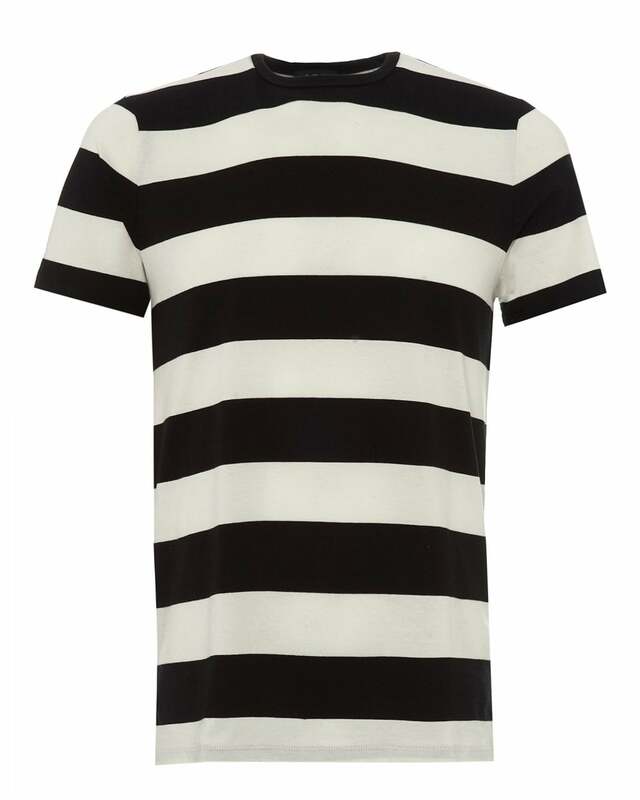 successfully manages to capture the timeless appeal of the classic stripped t-shirt. Showcasing a combination of black and white stripes with the subtle logo on the lower back, this 100% cotton t-shirt is a perfect match for any wardrobe.